Books and I have a long history together. I can’t remember a time when I did not enjoy a good book. From the classics to my two years old’s board books, there is always a book close at hand. I will confess a literary secret. Shhh…just between me and you. Sometimes at the end of a long day, I need some help unwinding and clearing my mind. Picking up a light, easy read is often the perfect way to do this. Christian Fiction is generally my genre to pull from because I don’t have to worry about inappropriate content or language. My mind will not keep churning around an unsettled plot twist but will drift off with happy endings. Do not be mislead. Even in my easy reading, I am extremely selective. The characters and story line must be engaging, authentic, and believable. 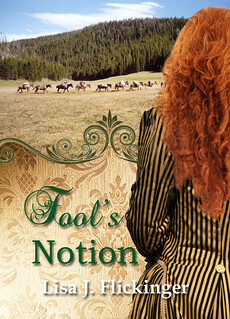 Recently I had the opportunity to read and review Fool’s Notion by Lisa J. Flickinger. Fool’s Notion takes us to 1883 on the California Trail, Kansas. Here we are going to meet up with Alda and the finest Missouri Mules. Intrigued? Missouri mules were the best. Alda grew to love the creatures working side by side with her pa on their farm along the banks of the Missouri River. He would be hopping mad when he realized his wife and daughter colluded behind his back to sell a pack string. It wouldn’t matter that they were trying to save the farm. Now, Alda needed the man to move on so she could continue her journey. Judging by the spark in Cord’s eye … it just might take some convincing. Based on the book synopsis, I had hopes that Fool’s Notion was going to be the perfect bedtime read for me. A bit of history, a touch of adventure, and with mules I felt sure there would be a bit of comic relief tossed in as well. Unfortunately after just a few chapters, I was struggling with Alda, Cord, and their story. I found myself not liking the main characters of this story and had difficulty believing that it was all possible. A young woman traveling on her own with a pack of mules across country in the late 1800s? Cord comes to her rescue and helps her join a wagon train for a safe journey across country. No one seems to question the respectability of this arrangement? Despite my issues with Fool’s Notion, I continued reading and completed the book. There was a hope that Alda and Cord’s story would capture my interest. However, the story fell flat for me. The writing was stilted and shallow in development. The ending of the book was disappointing. Giving the perception of Alda’s character at the beginning, for her to allow herself to be tossed around at the end is maddening. Another confession: I am definitely a “mood reader”. There are days where I want lighthearted and frivolous and other days I want deeply moving tales of epic proportions. I have found that a book I didn’t enjoy six months ago, I can now read with pleasure. With those thoughts in mind, it could be that I read Fool’s Notion on a bad day. So I will likely grab one of her other titles and give it a go! **I received a copy of this book from Celebrate Lit for the purpose of review. No compensation has been made. The opinions and thoughts shared are my own. Affiliate links may be used in this post. They in no way change your shopping/research experience. 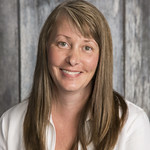 This entry was posted in Book Reviews, Books and tagged Books, reading by sweetie. Bookmark the permalink.